Today we take a diversion from rum reviews to share a review of a gin that has attained mythical status here in the US: Tanqueray Malacca. Malacca was produced for a few years in the late 1990’s to early 2000’s, but Tanquereay pulled it from the market to focus on its other products. 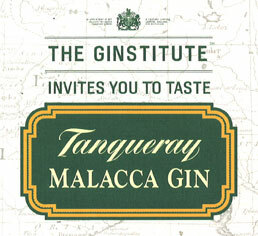 Since then, the demand for this gin has increased, and now Tanqueray is releasing a limited run. I was fortunate enough to attend an industry tasting yesterday in San Francisco, and I’ve written a review of the gin for your reference. Read the review here.